he Safavid dynasty represented, in political, cultural and economic terms the pinnacle of Iran’s power and influence in its early modern history. The evidence for this -the creation of a nation state, military expansion and success, economic dynamism and the exquisite art and architecture of the period – is well-known. 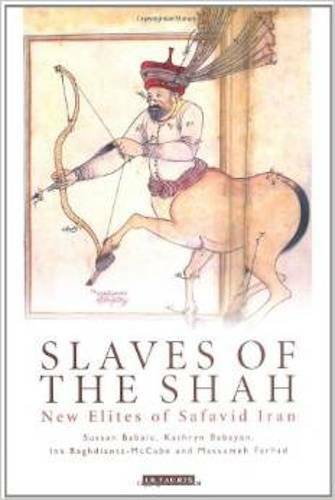 What is less understood is the extent to which the Safavid success depended on – and was a product of – a class of elite originating from outside Iran: the slaves of Caucasian descent and the Armenian merchants of New Julfa in the city of Isfahan. It was these groups, bolstered by Shah Abbas the Great (1589 – 1629) and his successors, who became the pillars of Safavid political, economic and cultural life. This book describes how these elites, following their conversion to Islam, helped to form a new language of Safavid absolutism. It documents their contributions, financed by the Armenian trade in Safavid silk, to the transformation of Isfahan’s urban, artistic and social landscape. The insights provided here into the multi-faceted roles of the Safavid royal household offer an original and comprehensive study of slave elites in imperial systems common to the political economies of the Mamluk, Ottoman and Safavid courts as well as contributing to the earlier Abbasid, Ghaznavid and Seljuk eras. As such this book makes an original and important contribution to our understanding of the history of the Islamic world from the 16th to the 18th centuries and will prove invaluable for students and scholars of the period. 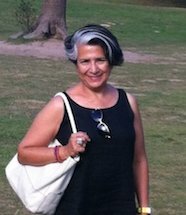 Professor Sussan Babaie joined The Courtauld Institute of Art, University of London in 2013 to take up a newly established post teaching on the arts of Iran and Islam. Born in Iran, she attended the University of Tehran’s Faculty of Fine Arts until the revolution of 1979 when she moved to the USA to study for a Master’s degree in Italian Renaissance and American Arts, followed by a PhD at the Institute of Fine Arts, NYU, where she focused on the arts of Islam. She has many years of experience teaching in America, at Smith College and the University of Michigan, and as a Visiting Professor at the Institut für Kunstgeschichte, Ludwig Maximilian University, in Munich. Her research and teaching concern questions of imperialism and artistic patronage in Persianate West, Central and South Asia where high culture derived from the literary corpus of the Persian language. Most recently, her research has been supported by grants from the United States National Endowment for the Humanities, the Fulbright (for research in Egypt and Syria) and the Getty Research Institute in Los Angeles. 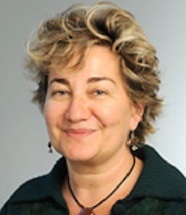 Professor Kathryn Babayan is Associate Professor of Iranian History and Culture at the Department of Near Eastern Studies and the Department of History, University of Michigan. She specializes in the cultural and social histories of early modern Iran. 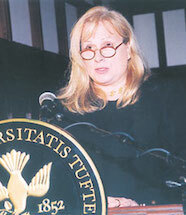 She is the author of ‘Mystics, Monarchs and Messiahs: Cultural Landscapes of Early Modern Iran‘ (2003). She is currently working on a monograph that explores the history of friendship and the culture of epistolarity in early modern Isfahan. 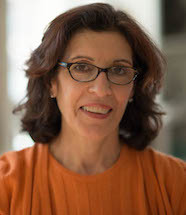 Professor Ina Baghdiantz McCabe is Professor of History and the Darakjian and Jafarian Chair in Armenian History in the Department of History at Tufts University. She came to Tufts in 1998, after a decade of teaching, to be the first holder of the Darakjian and Jafarian Chair, an endowed chair in Armenian history established by a Tufts alumna. She has lived in eight countries and was schooled in six languages before the age of 18, the many cultures that became her own sparked her interest in history. To cover her wide interests she went to graduate school twice: once to study European history at the Sorbonne in Paris and later to study Armenian history and Middle-Eastern history in New York at Columbia. Her dissertation at Columbia focused on New Julfa in Iran, the Armenian diaspora and their international merchant networks, it argued based on archives held in New Julfa that the merchant elite was part of the Safavid administrative system, and the Armenians were the chief importers of silver in an age where the flow of silver was a key to economic life. Dr Massumeh Farhad is Chief Curator and Curator of Islamic Art at the Freer|Sackler Galleries of the Smithsonian Institution in Washington, D.C., and earned a PhD in Islamic art history from Harvard University. In 1995, Dr Farhad joined the Freer and Sackler as Associate Curator of Islamic Art and, in 2004, was appointed to her present position. With a focus on the arts of the book from sixteenth- and seventeenth-century Iran, she has curated numerous exhibitions on a range of subjects in Islamic art, including ‘Art of the Persian Courts’ (1996), ‘Fountains of Light: The Nuhad Es-Said Collection of Metalwork’ (2000), ‘Style and Status: Imperial Costumes from Ottoman Turkey’ (2005–2006), ‘Tsars and the East: Gifts from Turkey and Iran in the Moscow Kremlin’ (2009), and ‘Falnama: The Book of Omens’ (2009). She has also written extensively on seventeenth-century Persian painting.